Replacement E string for violin. Tin-plated E. This E string comes from the new Superior strings series, a development that ushered in a new era for Jargar. 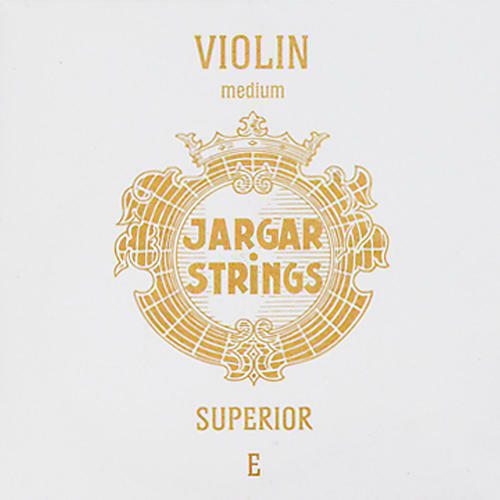 Designed for advanced or professional musicians who demand the highest standards in sound quality, performance, and reliability, violinists can now experience Jargar excellence. Combining an extraordinary blend of warmth and colors, Superior strings produce a clear, powerful tone with a high dynamic range and remarkable symphony of balance. They are fast an easy up the fingerboard and respond rapidly to the bow.